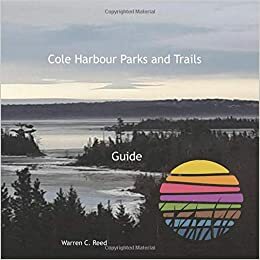 This 400 acre provincial park was built and is maintained by the Cole Harbour Parks and Trails Association, an all volunteer, not for profit community group. The park depends on private and public funding, often in the form of donation of materials and time. Running the length of the park, this trail is accessible from many points. It is the only trail within the park where bikes are permitted. Because it is relatively flat, it is a good choice for wheelchairs or strollers. The gentle hills in the park are typical of numerous drumlins that dot the coast, providing magnificent views. Drumlins are whale-shaped hills of clay and stones formed by retreating glaciers 15,000 years ago. (In Gaelic druim means the crest of a hill.). These natural barriers protect large shallow estuaries, allowing salt marshes to develop. This follows the abandoned access road to the Poor’s Farm, crossing brooks and skirting fields. A short loop off the Panorama Trail along a rushing stream. Jerry Lonecloud (1854-1930) was a familiar sight to Cole Harbour residents in the early part of the last century. He was a member of the Millbrook Mi’kmaq band, which summered in the Cole Harbour area, traveling along the Shubenacadaie River and through the present-day Dartmouth. lakes. He gathered sweet grass in the area which he used to make coiled baskets for sale in the Halifax market. Jaques Levesconte from the Isle of Jersey jumped ship from a grounded vessel in the 1870s , married a Cole Harbour girl, and was a notable and colourful character in the area for 75 years. In 1865, John Costley was the fisheries inspector in Cole Harbour. The open fields are the only remaining evidence of his farm. This trail transects a large block of more or less undisturbed terrain. Nearly 300 residents died over the 42 years of the Poor’s Farm existence. Most were returned to relatives in home communities, but it is thought perhaps 16 are buried here. This cemetery is being inventoried, cataloged and restored by a field archaeology program at Saint Mary’s University. Beginning in 1887, this was the site for Halifax county’s residence for the ‘harmless insane”. A complex of several buildings was used until a fire forced closing in 1929. George Bissett held several prominent positions in Cole Harbour. For some time he was a Justice of the Peace. In 1890 he became the first county Councillor in Cole Harbour. He was also referred to as Squire. George Bissett died in 1916. A roadhouse that catered to visitors, travelers and affluent sportsmen. King George V may have stayed here on a hunting trip to Cole Harbour marsh. If you can add to our sketchy knowledge, please let us know.